Just off I-75 at the Vienna exit you’ll notice this structure, which now serves as the Georgia State Cotton Museum. It’s a really small museum, but provides a great link between the historical importance and continued prominence of cotton in Georgia. 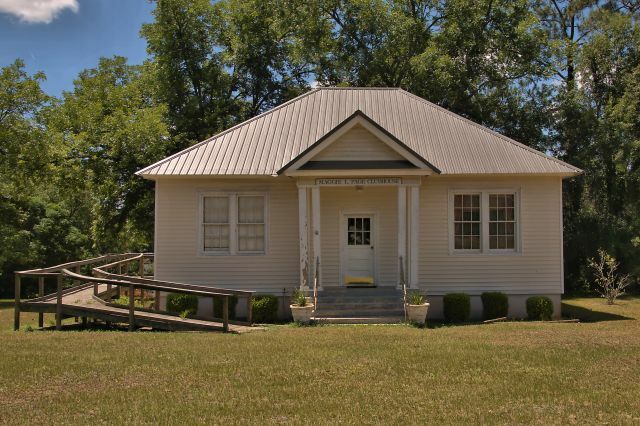 The building originally served as the rural Smyrna Schoolhouse (Circa 1890) and was moved here and renovated. 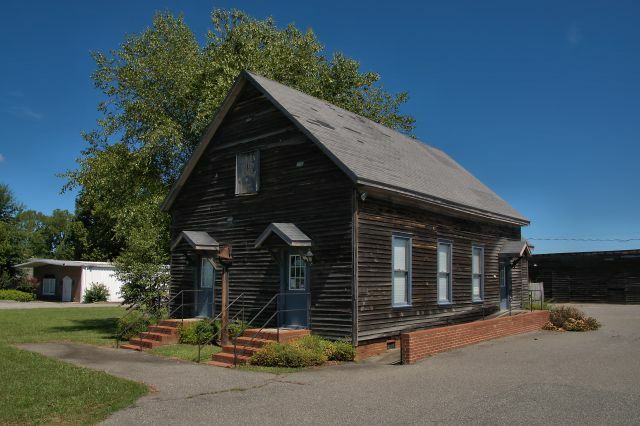 This was originally a residence, but the Byromville Woman’s Club purchased it for $75 in 1936 and utilized WPA labor to renovate it for use as their clubhouse. They held their first meeting here the day after Thanksgiving, 1937. A bit of history from the 2010 Byromville Woman’s Club Yearbook: In October 1918 a group of ladies met at the school auditorium to organize a club to promote a more friendly relationship between parents and teacher and to work for the upbuiding of the school and community. Mrs. Minnie McDonald was the organizer and suggested the name School Improvement Club, which was adopted by the club. They changed their name to Byromville Woman’s Club in 1970. 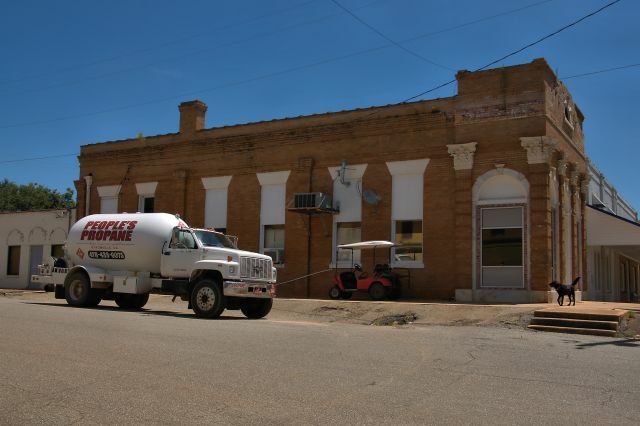 I believe this building was once a bank. Blakely Humber and Amy Thompson note that this later served as their grandfather’s (Claude Hugh Murray, d. 1965) barber shop. 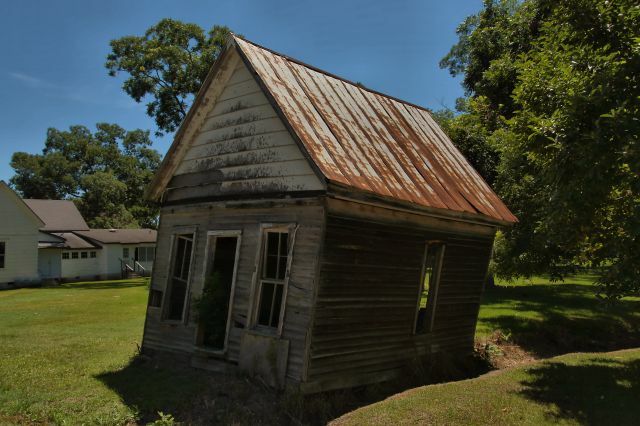 Diane Couch, who identified this house for me, wrote soon after: Thank you so much for preserving south Georgia in photos. 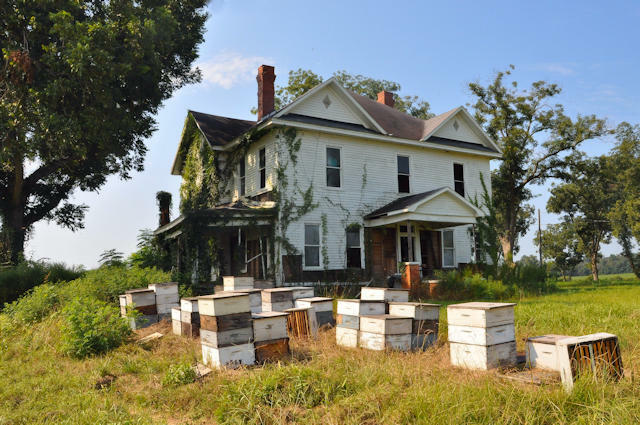 (This) house…is now being demolished. How sad. Sad, indeed. It would seem I got there just in time to document it, but so many more will be lost. 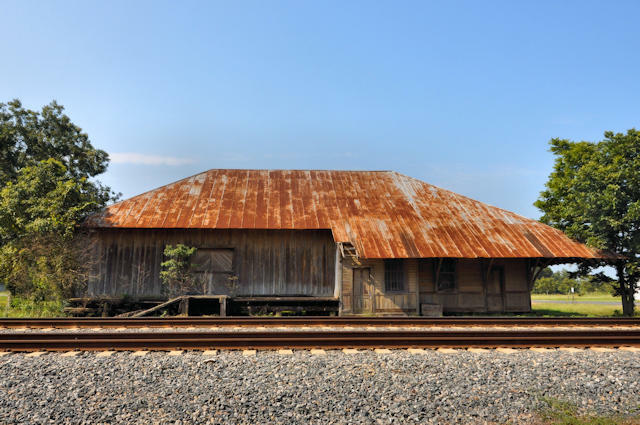 Though it’s been moved a short distance from its original location, the old AB&A Depot at Lilly is one of the best unrestored examples of early 20th century railroad structures of this type in Georgia. It’s an iconic structure which attracts numerous photographers to the area. Victor McGough writes: When I was very young, I remember seeing the depot operating in full vigor. There were two sides. One side held freight. the other side was for passengers. I remember seeing a man with an eyeshade on sitting at a desk working at something. Later on when this depot ceased to be a working depot, the Atlantic Coast Line RR built a small shelter painted white & purple, the color of their locomotives. I only saw people get off in Lily once. I have stated before that I use to watch Mr. Pierce Nelson string up the mail bag for the train to come roaring through and drop the incoming mail on the ground. I have a video of my son waving to the engineer in a train going by the depot in the picture.